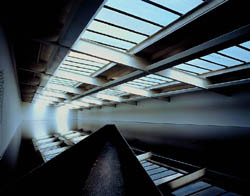 Richard Wilson has described his installation 20:50 as both his 'party' and his 'megastar' piece. This interview coincided with the exhibition of a piece entitled Water Table at Matt's Gallery. Wilson talked at length about the processes which went into making that piece. 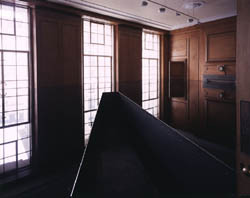 Wilson transforms architectural spaces, using industrial materials such as oil and metal, with natural phenomena such as water and light. His works destabalise our normal perceptions of architectural space and structure, heightening our awareness of mundane surroundings.